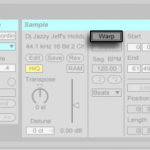 1) In your record/warp/launch preferences, make sure that Auto Warp Long Samples is turned off. 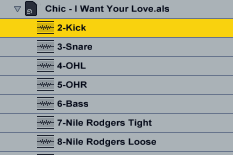 2) In Live’s Browser, navigate to the multitracks you want to warp. 5) Double click on the newly duplicated audio file, to make sure you see the Clip view below). 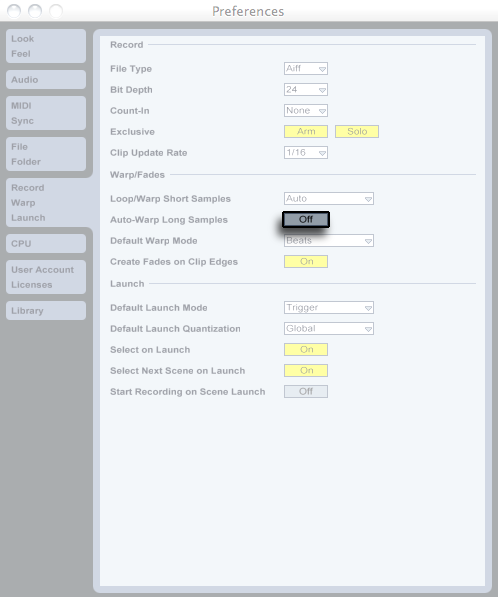 6) Drag the next multitrack stem directly from your Library onto the clip waveform down below. It will now take on the drum part’s warp markers. 3) Click on the first audio file, hold the shift button and click on the last audio file. 5) Press the Command button, so that the audio files will go to parallel tracks, and release the mouse button. 6) At this point, when you press play, the multitrack should sound normal/aligned. You may want to lower the master volume a bit if it’s clipping. If they are not alignedâ€¦well you need to align them manually with the grid off, but that’s out of the scope of this lesson. 7) Select all (Command-A). If the files are the same length, you’ll see a message that says ‘X Audio Clips in X tracks Are Selected. Move on to step 8 if this is the case. 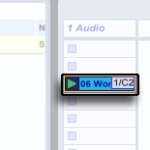 If the audio files are not the same length, you’ll see a message saying the clips have different lengths. 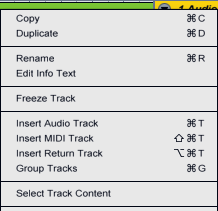 If this is the case, press Command-J to consolidate the tracks (and create new audio files the exact same length. Reason: Multitrack warping only works for files of the same length. 8) Press the Warp Button. You’ll see a hatch mark indicating that you will be editing multiple files at once. 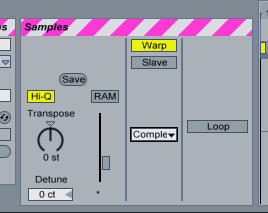 9) Now you need to find one of the tracks with a good drum part to work on (it’s easier to warp this way). Once you’ve found that track, move it to the top of the screen. 10) Scroll down to the track on the bottom and click on it to select it (track 26 in this case). 11) Scroll up, hold Shift and click on the drum track you found before at the top of your screen. 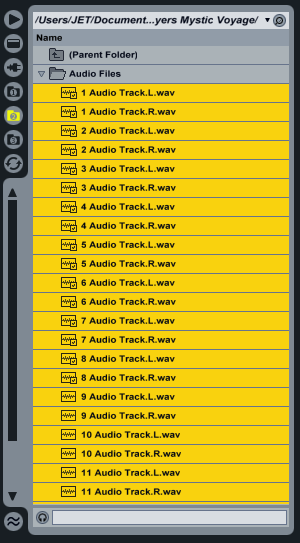 The last clip you select is the one you will warp, but the warping will apply to all tracks. 12) Now you have to manually warp that track. Unfortunately, “Warp from here” doesn’t work for multitrack warping, so you’ll need to adjust it manually, bar by bar, like back in the Live 4 days ;). You’ll want your metronome on while you do this. 13) It’s a good idea to rename (Command-R) all your tracks, so that once you’ve warped a multitrack file, you can always navigate to that Live Set in Live’s browser, and drag in individual tracks from other projects into the one you’re working on. 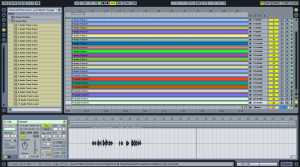 How to crop/split recordings in Ableton Live. This entry was posted on July 4, 2011. It was filed under Ableton, Tutorials.